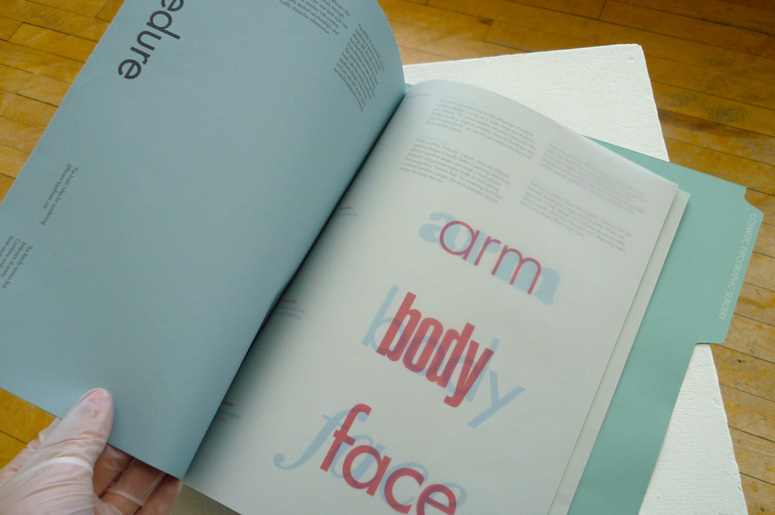 Brief: Typographically explore the theme of fakery. 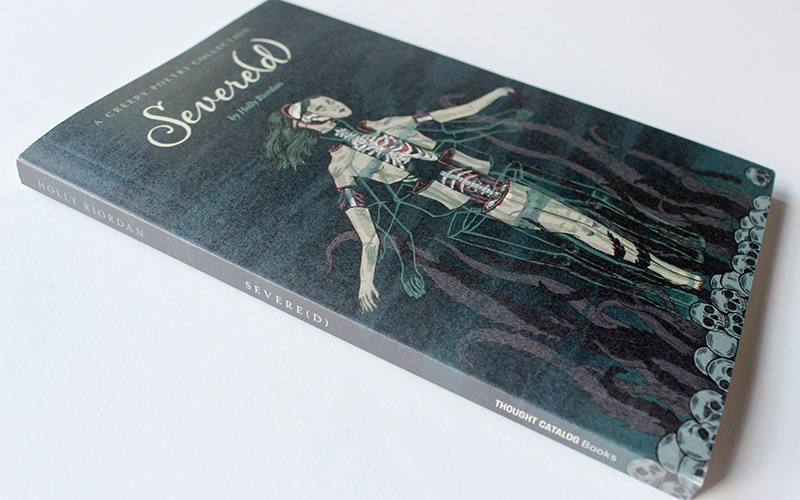 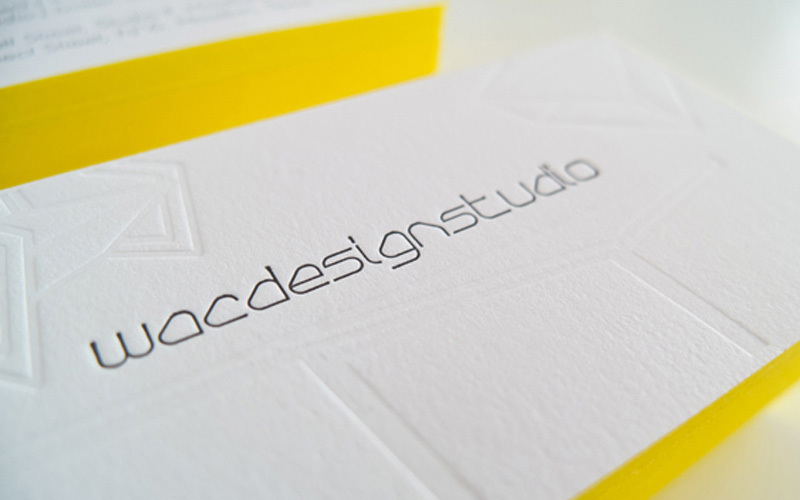 Produced and submitted to achieve membership to the International Society of Typographic Designers, awarded a merit. 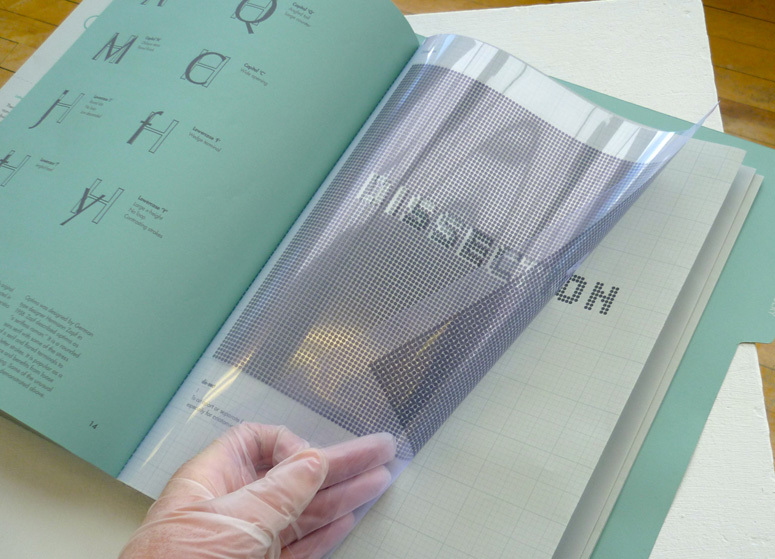 Concept: I discovered a magnitude of fascinating parallels between the processes of cosmetic fakery in both a the human body and in typography. 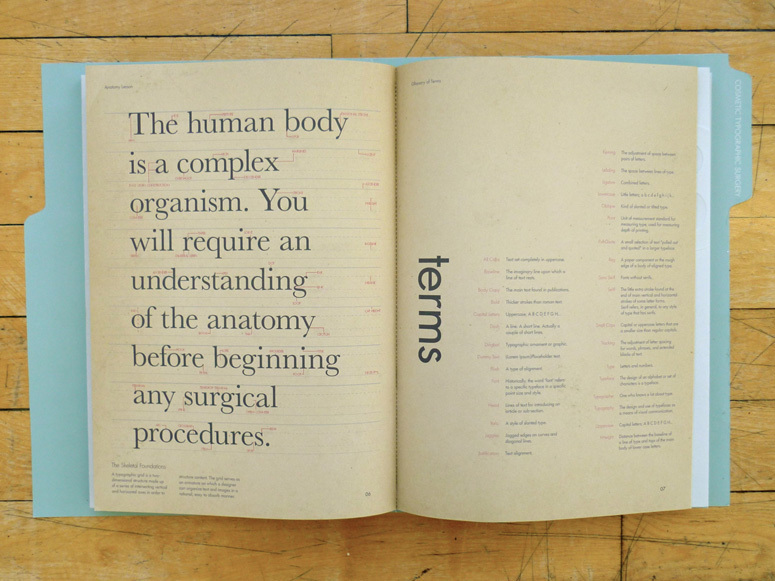 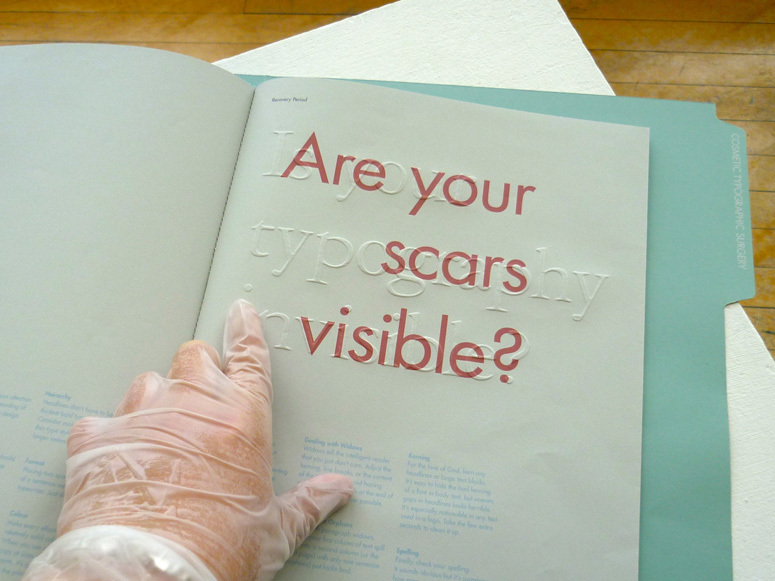 I created this publication for designers and typographers intending to be deceivingly medically related. 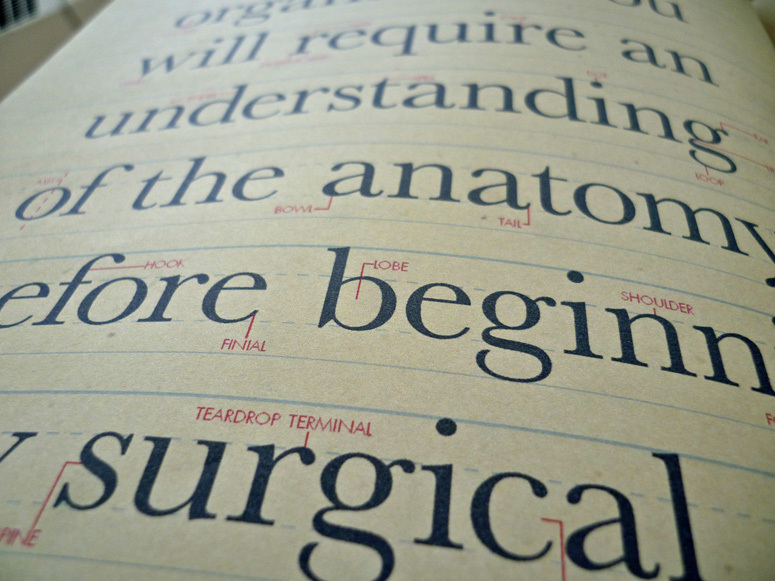 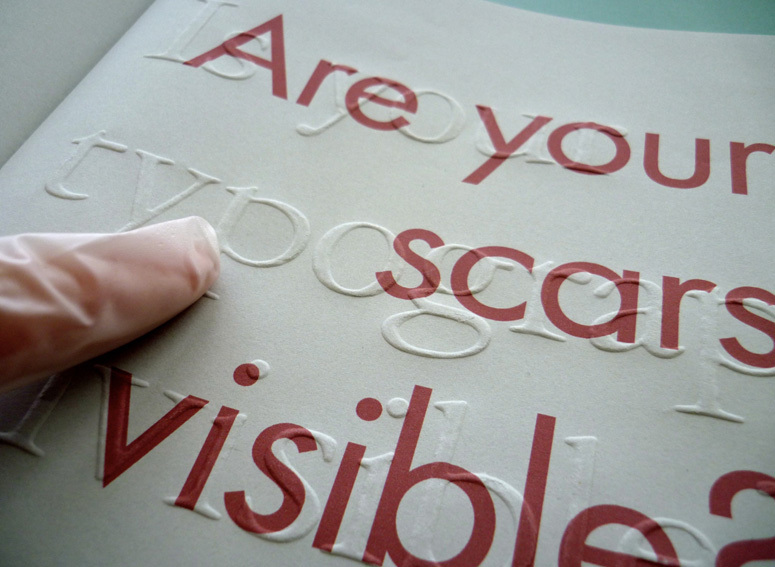 It aims to entertain but also educate the reader about typography. 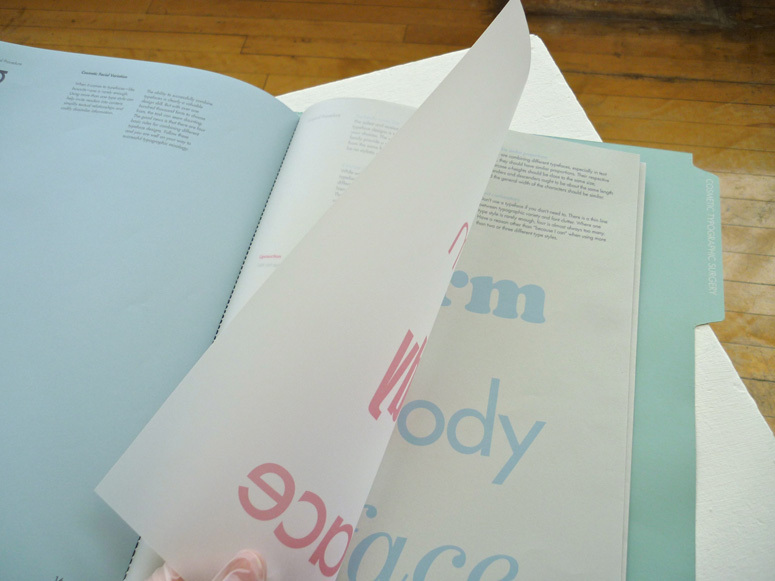 The two themes offer many similarities such as in ideas, language and imagery. 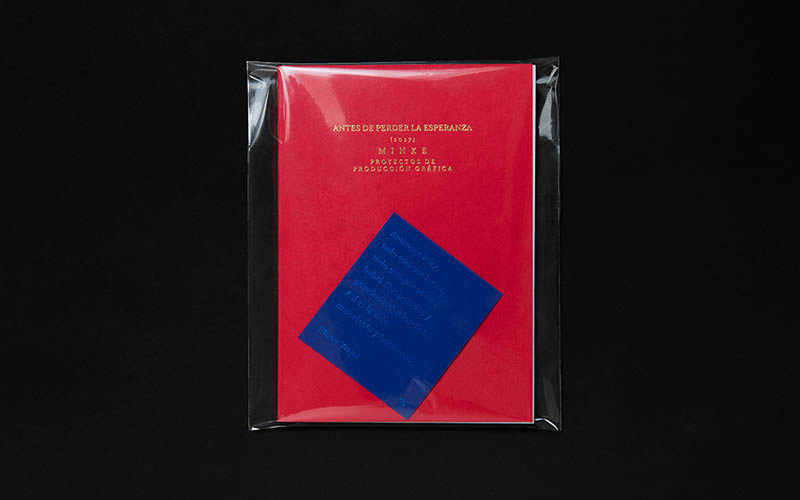 I exploited these to create my final content and aesthetic. 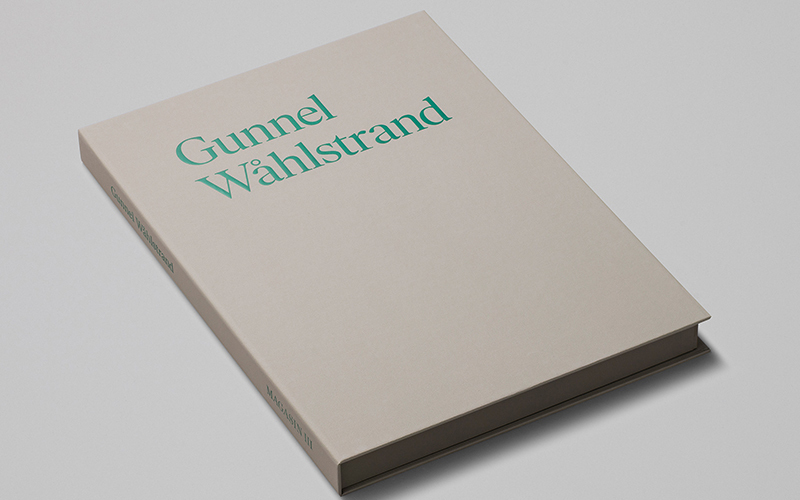 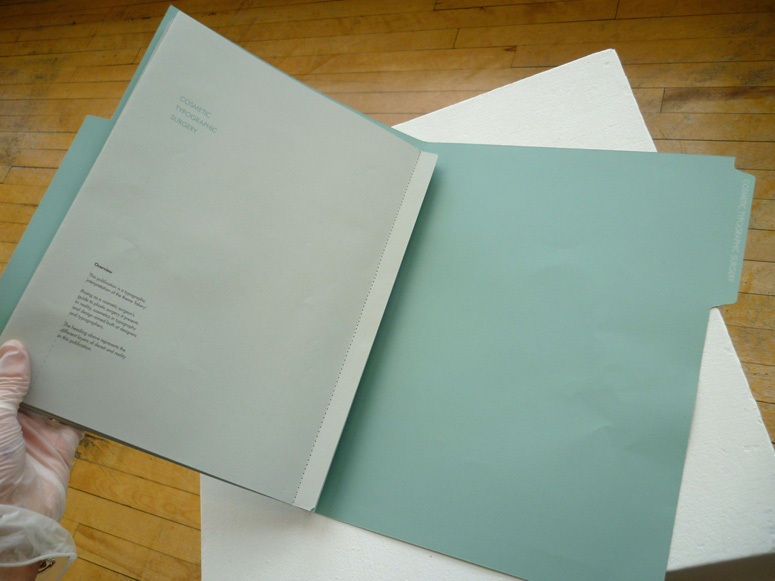 Special production finishes included binding, embossing, perforating, mixing of stocks, and silver foiling. 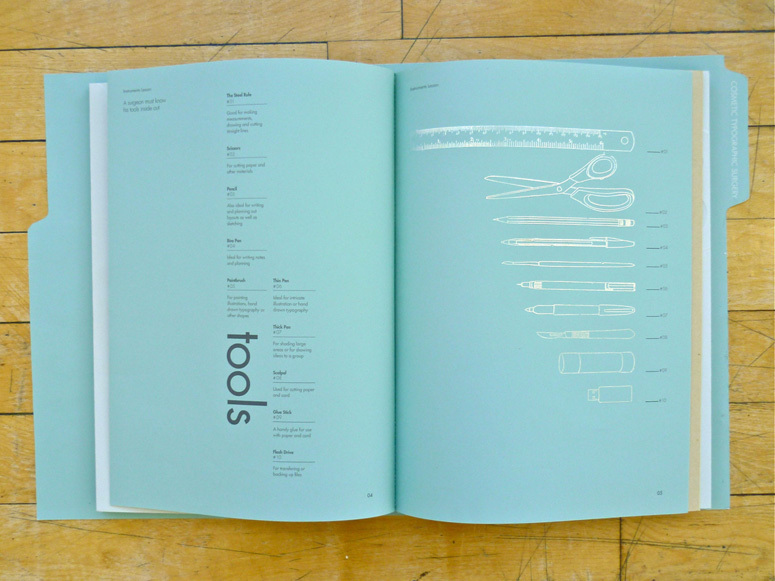 Only the bespoke silver foiling was outsourced. 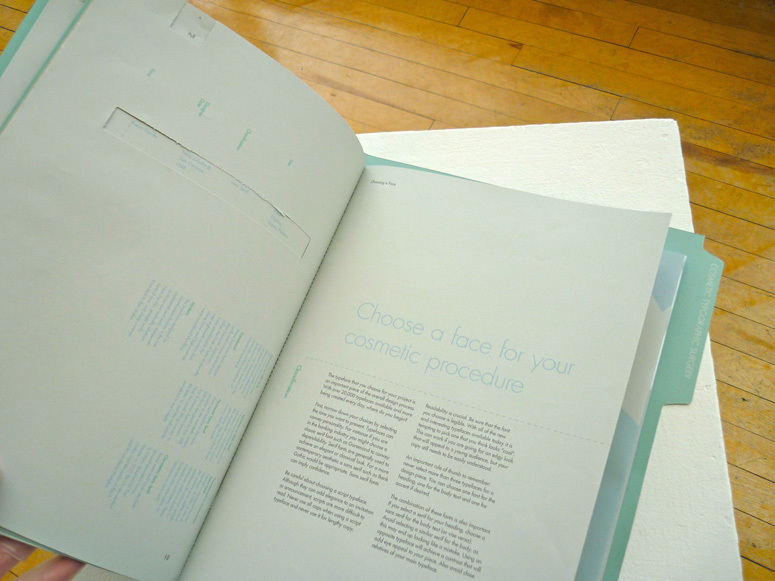 I bound the publication using a sewing machine to reference medical stitches. 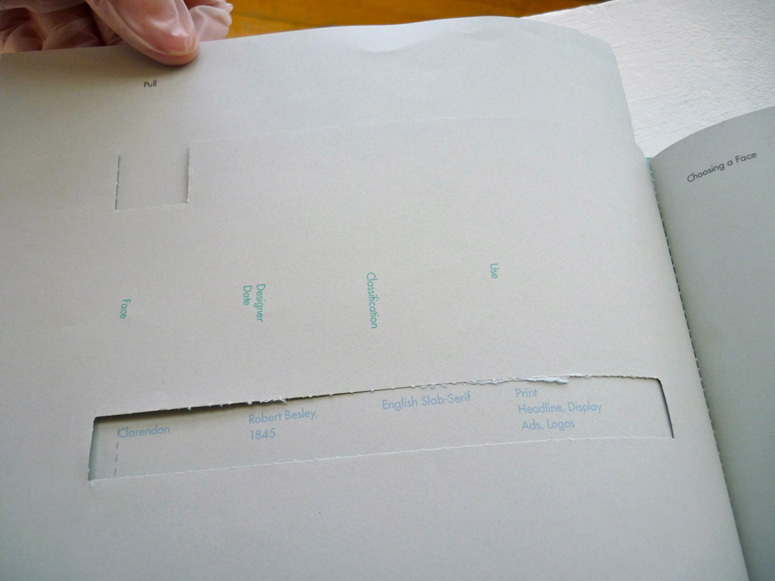 It was tricky to get the correct tension and I had to develop a way of doing it that would allow only a few pages to be stitched at a time. 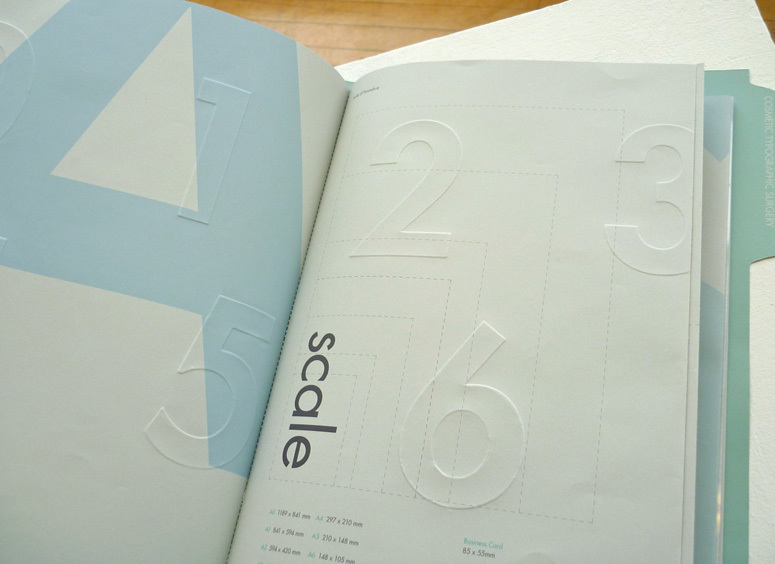 I learned to laser cut in order to carry out the embossing. 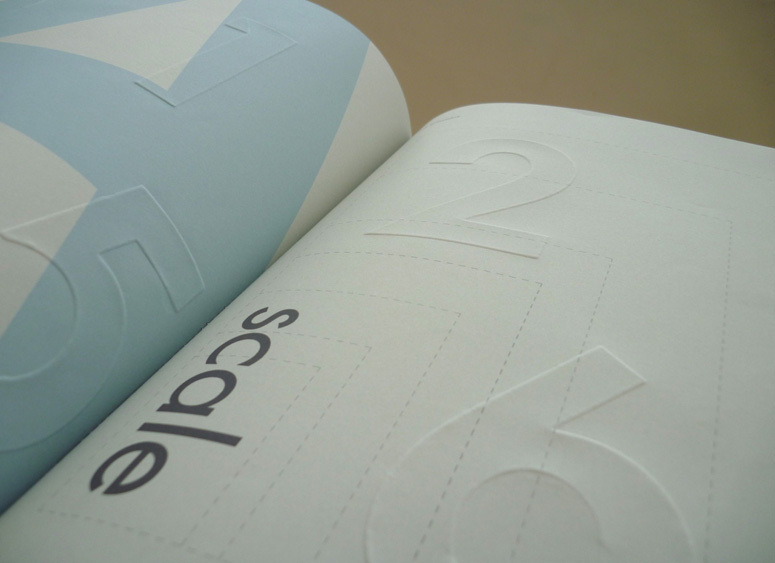 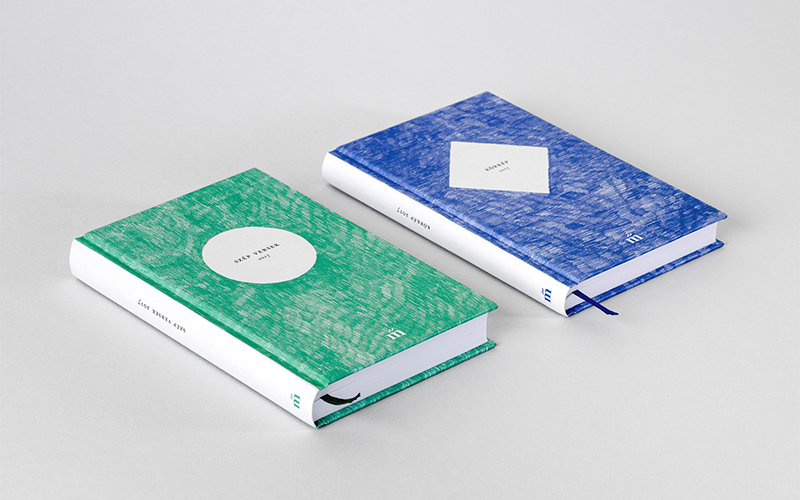 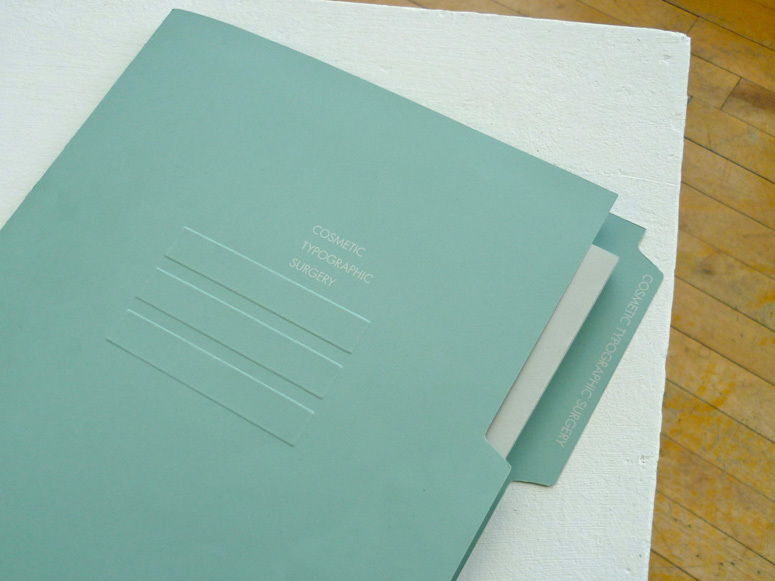 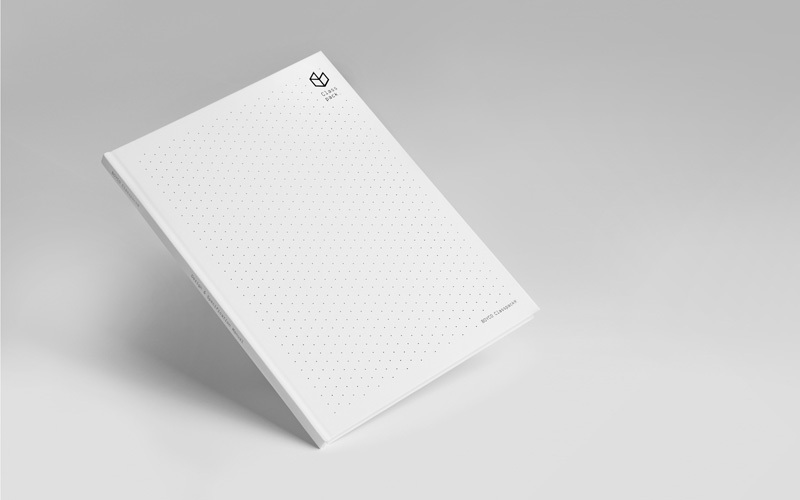 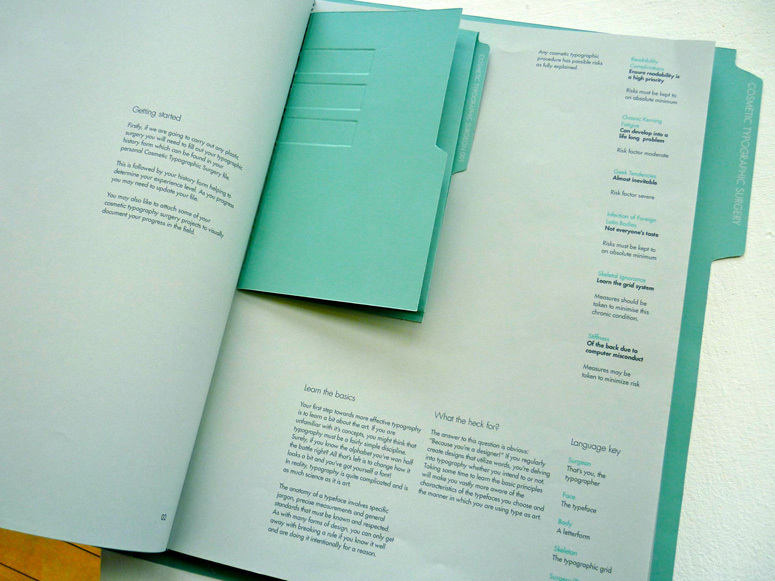 The cut was done into a 300gsm stock and traced around onto the page with an embossing tool. 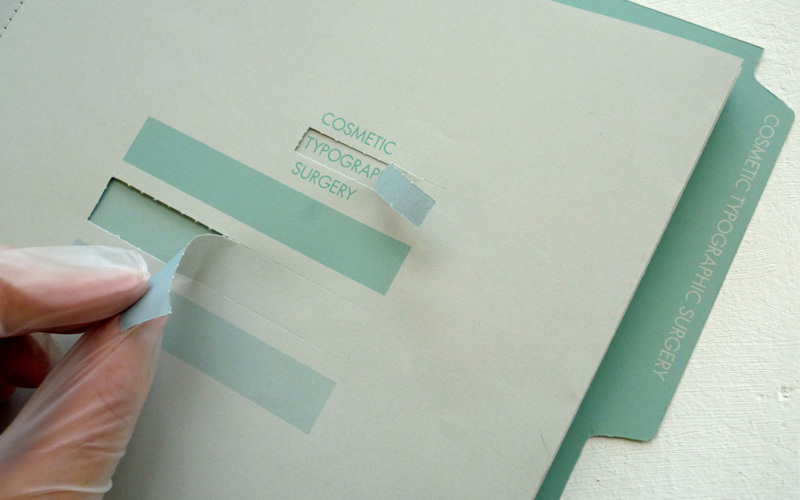 Produced and submitted to achieve membership to the International Society of Typographic Designers, designer Tuesday Stevens' Cosmetic Typographic Surgery dossier is a medicine bag of DIY, hand-finishing techniques.